O man of God...pursue righteousness, godliness, faith, love, steadfastness, gentleness. The Men’s Ministry at Christ Church serves to equip men for the high calling of following the Lord Jesus Christ, leading their families, and ministry in the Church. We seek to do this first and foremost by grounding men in the Word of God, which is the foundation for all of life. Another critical component is building a sense of camaraderie among men, a community where they can encourage one another and hold each other accountable. A third important aspect of Men’s Ministry is to remind men that they are called to be like the Lord Jesus Christ in their actions, both in the family and in the community. Men are called to be like Jesus in His offices: prophet, priest, and king. In this, men are prophets in their homes when they teach the Bible; priests as they lift up their family to the Lord in prayer; and kings as they protect and defend their family. In all of this, men must look to their own great Savior – Jesus Christ. 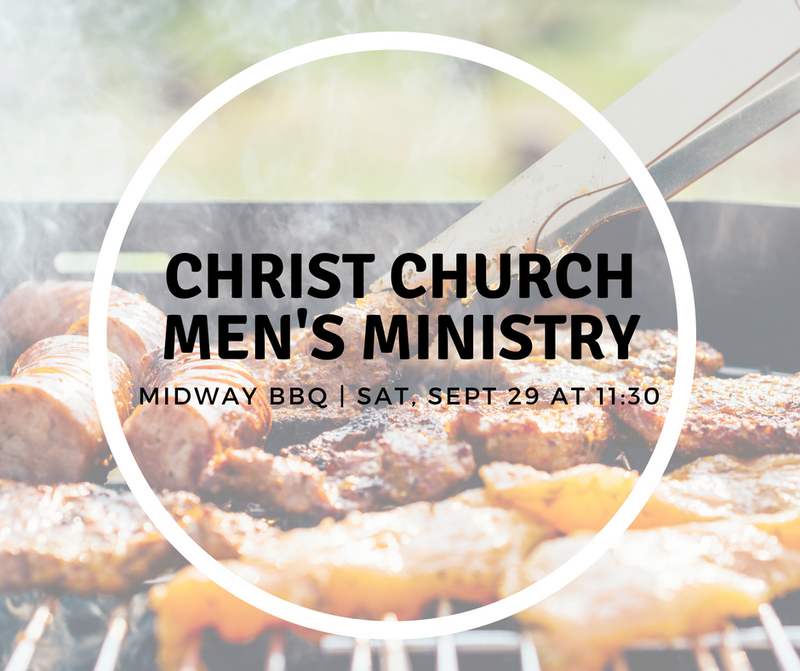 On Saturday, September 29, 2018 at 11:30 AM, the Christ Church Men's Ministry will kick off the new year at Midway BBQ in Katy. Join us as we discuss our plans for the coming year and enjoy some great barbecue! On Saturday mornings (please check our calendar), our men participate in a prayer breakfast at 8:00 AM. The focus of our breakfast is on fellowship and building relationships, along with a brief devotional. We invite you to get to know Christ Church’s men, talk about college football, share prayer requests, and be encouraged from the Bible. To find out more, please contact the Christ Church office.